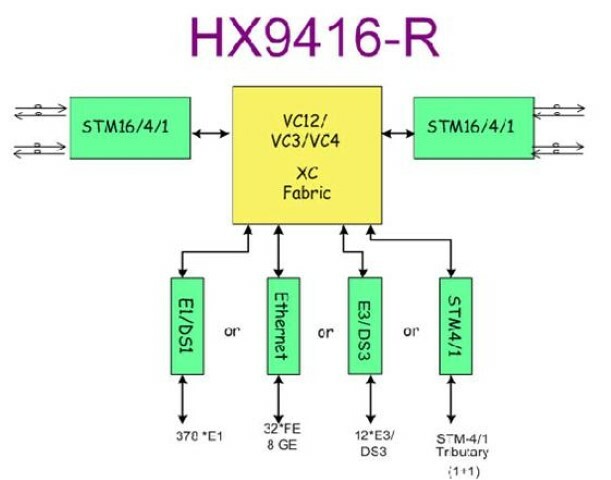 HX9416R-6U is the STM-16/OC-48 grade multiplexer in the CXR HX-9000 range of products. This high density modular product delivers two STM-1/4/16 or OC-3/12/48 aggregate SNCP rings, and up to height STM-1/OC-3 or two STM-4/OC12 sub-rings with MSP (1+1) protection. It embeds a VC12, VC13 and VC4 cross-connect engine that makes it a multi-service SONET / SDH multiplexer for E1/T1/E3/DS3 and Gigabit Ethernet services with QoS and protection functions. HX9416R can concentrate up to 20 physical interfaces and 48x VC4 payloads. HX9416R is used in many different networks of telecoms operators, transport (railway, airport, etc. ), Utilities, or Defense organizations as a SONET/SDH backbone for Voice / Data / Video / Ethernet services. 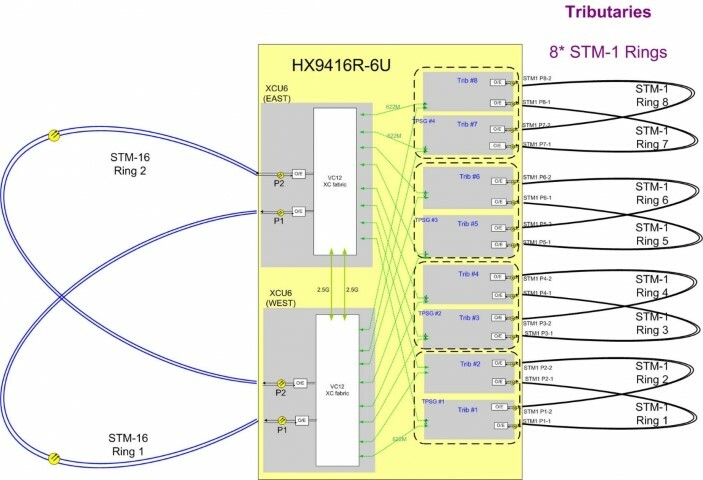 HX9416-R relies on up to date SONET/SDH technologies with GFP/VCAT and LCAS protocols for best and predictable performance, SLA, security and resilience for Ethernet and IP services over SONET/SDH with Point to Point and Point to Multi-point topologies and VC12/4/3 granularity. 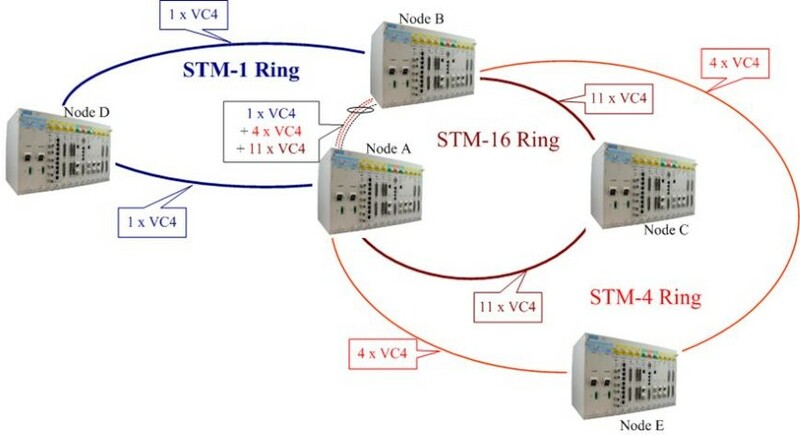 Up to 16x VC4 with SNCP ring protection can be multiplexed on a physical STM16/OC48 trunk. 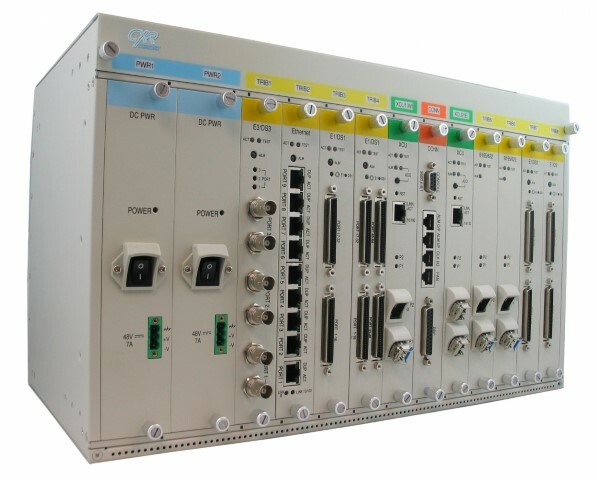 CXR offers a basic SNMP management system - CXR-View graphical software, or a fully featured system with provisioning functions, CXR-iNMS.